Why do you put off framing + hanging your favorite photos? No more prep, no fussing with the backer. No taping. Now, you can mat + frame like a pro – in about 5 seconds. And, everything's CHANGEABLE. So great for all those school pictures. With storage for more than a dozen photos in back, it's like having a photo album on your wall! Hanging's a breeze, too – one frame or an entire stairway gallery. Think of the possibilities... Update your galleries with the latest. greatest family photos. Switch your art with the seasons. Make your guests smile when they see their photo in your entry gallery. See what customers are saying about EasyGallery®. "Love these gorgeous frames! They are the best thing I've purchased for my new home. The ease of hanging and simplicity of switching out images and prints make my heart happy... I can't recommend these enough! "Perfect for grandchildren's school photos. Just what I wanted and needed. I find the storage unit on the back perfect for my many grandchildren's school pictures! All the photos fit neatly and look uniform." "Beautiful Product I can't say enough about these beautiful frames - they are a truly professional-quality product that makes hanging groups of photos a snap... I look forward to the fun of switching out my photos to match seasons and holidays." "Best Frame for the Money I would have expected to pay twice the amount I did for such a professional matting and framing solution. From installing the art into the frame, to the installation , with provided hardware, this is a elegant framing solution that looks as professional as they come... Can't say enough positive things about both the product and the service. Three cheers and five stars!" "... No longer am I stuck looking at the same photos year after year. In less than a minute I can change the photo from the storage slot in the back. Being a photographer , and always wanting to frame more photos, the Change of Art concept was the answer." 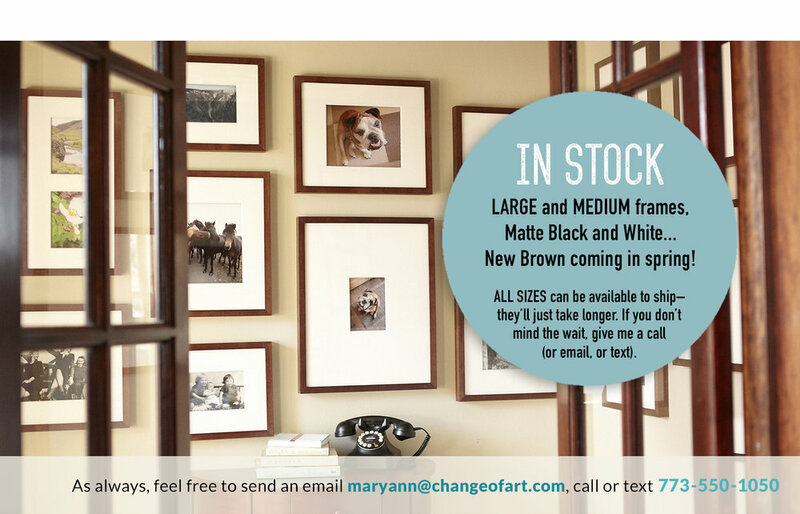 "Beautiful Frames and Outstanding Quality... they are gorgeous! The wood is solid, the matting is bright, and the glass is good quality. Each frame arrived neatly packaged with cushioned bumpers too..."
"Awesome packing/shipping ! So simple to hang. The frames are great quality!! I will definitely be buying more soon!" "Beautiful AND Simple!!!!... Everything you need to complete this project is included (except the hammer!). It took me longer to choose the photos than it did to hang the frames!!!!... A truly wonderful product! Thanks!!! Think of it... Just ONE frame for a lifetime of endless prints. 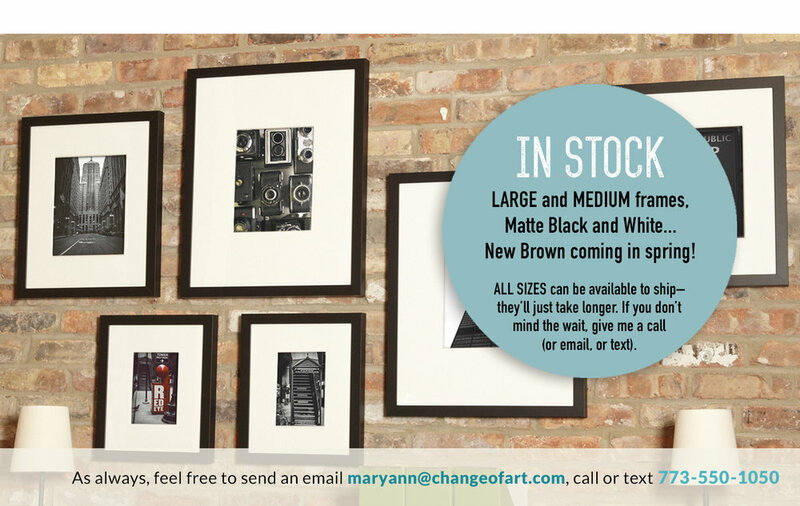 Sign up for Change of Art's product updates (like new sizes of EasyGallery® frames), design tips, and a few email-only deals. I respect your privacy. I'll never share your email address with any person or organization. Of course, you can unsubscribe at any time. Thanks! Not to worry, emails will be few and far between.